You want better performances from your PTP Audio SolidX turntable or your Lenco ? Than this idler wheel is made for you. 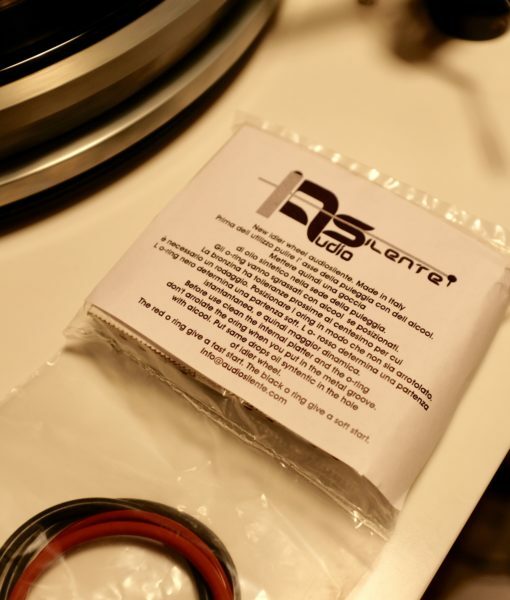 With multiple O-ring you will find the best combination in order to get the most out of your turntable. 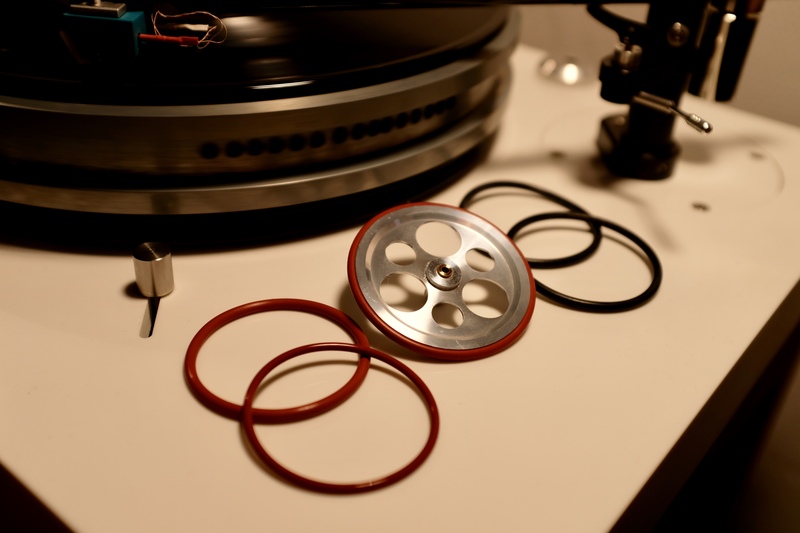 Distributing Peter Reinders wonderful SolidX turntables… We know the crucial importance of idler wheels. 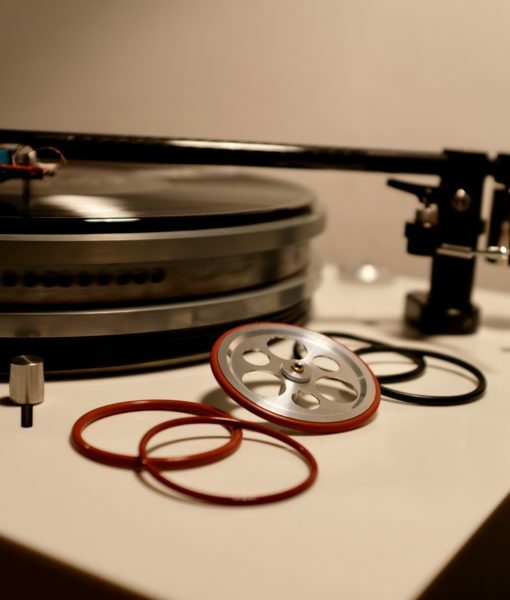 Simone Lucchetti of Audiosilente pushed the concept of idler wheel to a new level. With Audio Silente idler wheel : you have the certainty of obtaining a fully flat idler wheel… as a lot of Lenco idler wheels are warped. A warped idler wheel induces speed variations that are clearly lowering the level of playback performance from your turntable. 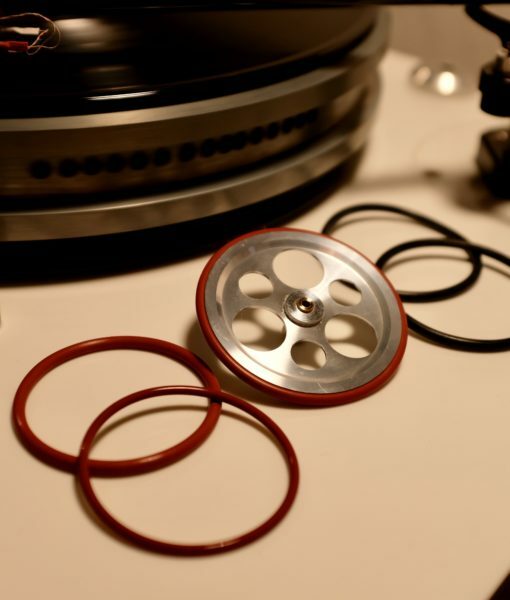 With this idler wheel you will also have 5 O-rings in different rubbers and… diameters. The red O-rings have more grip and will allow the platter to start faster. It will also have a tighter drive, while the black O-rings offer a softer start and tad less drive. 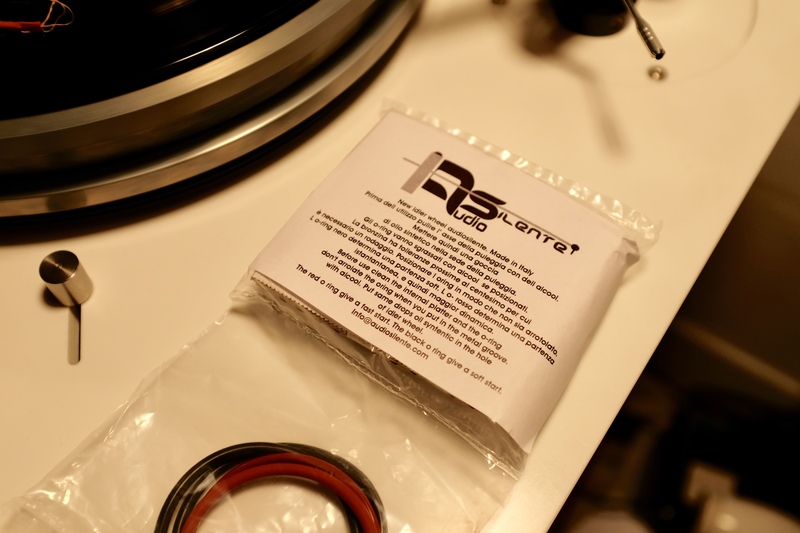 With these different O-rings in combination with the Audiosilente idler wheel : you will get to experience some new performances with your turntable. We cannot live anymore without it. 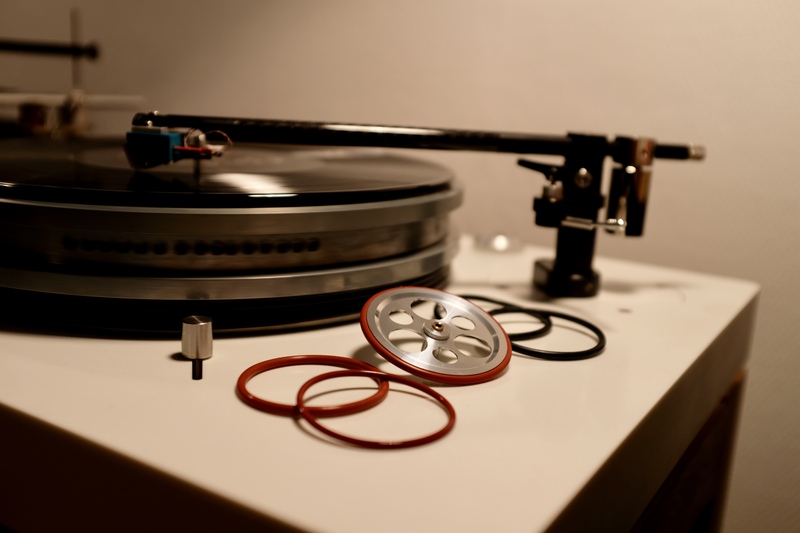 This version has a 2.45mm shaft which fits with Lenco L70/75 and… of course the beautiful PTP Audio SolidX turntables. The 3.00mm shaft version is also available on request. Add also drop of synthetic oil in the bearing for the shaft of the idler wheel. Last but not least : please also check that the O-ring is not twisted when placed on the idler wheel.